I came across Alexander Shabanov's lookbook and got completely blown away. 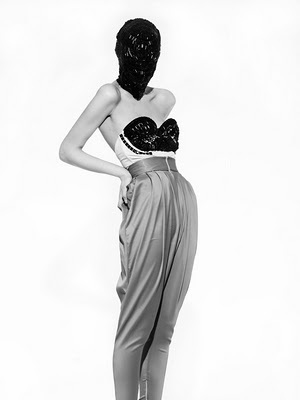 Alexander is a fashion student at Kosygin Moscow State Textile University and debuted his first collection in 2008. I'm in love with his armour dress and bejeweled bustier top. Watch out for this guy - I predict we'll be seeing much more from him!